﻿ Eibar 1-4 Real Madrid. An oxygen balloon in La Liga title race! 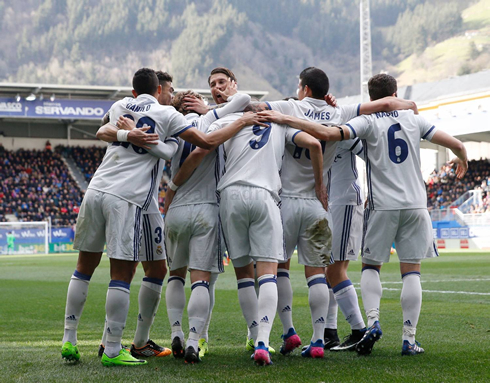 04.03.2017 » Eibar 1-4 Real Madrid. An oxygen balloon in La Liga title race! Real Madrid moved back to the top of La Liga standings at least for a few hours, after beating Eibar 4-1 at the Ipurua Stadium this Saturday afternoon. The Merengues goals were scored by Karim Benzema (2), James Rodríguez and Marco Asensio. Zinedine Zidane made some changes to his side after this midweek's upset against Las Palmas, but judging by the scoreline this afternoon, it looks like this small revolution in his starting lineup actually worked in his favor today against Eibar. There were 9 different starters when comparing this midweek's lineup and it ended up being one of them, Karim Benzema, who shined the most. The Frenchman scored twice in today's 4-1 victory, while James Rodríguez and Marco Asensio scored a goal each to give Madrid a more comfortable lead. Cristiano Ronaldo was given a rest, as the Merengues play next Tuesday at the San Paolo against Napoli, for the second leg of the Champions League last-16 round. Without Cristiano Ronaldo, Gareth Bale and Raphael Varane, Madrid were able to put four goals past Eibar to retain the lead at the top of the table. James Rodriguez was given a rare start and took the most of his opportunity as well. The Colombian was involved in most of the forward moves and seemed very comfortable playing with Benzema and Asensio. 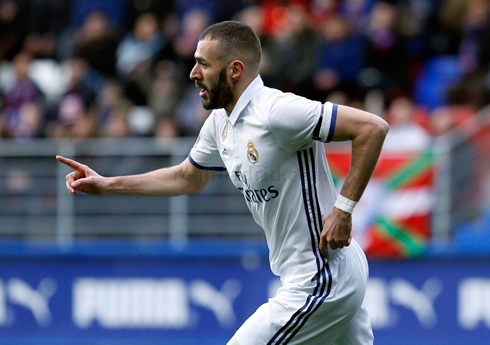 Karim Benzema opened the scoring in the 14th minute of the first half, finishing off a move with his left foot, after his initial effort was parried by Eibar's goalkeeper, Yoel Rodríguez. Soon after, Benzema would make it two for Madrid. This time around, the Frenchman finished with a deft touch after a James Rodríguez free kick near the right sideline. And it would be James Rodríguez who would cap off the first half with the best goal of the match. The former FC Porto and AS Monaco playmaker, sent the ball in the back of the net with a one time finish after a Benzema's pass. That's only his 2nd league goal this season, his 5th in all competitions. It was a very important match considering their midweek result and now the pressure shifts to Barcelona against Celta Vigo later today. Next week? Champions League action returns! 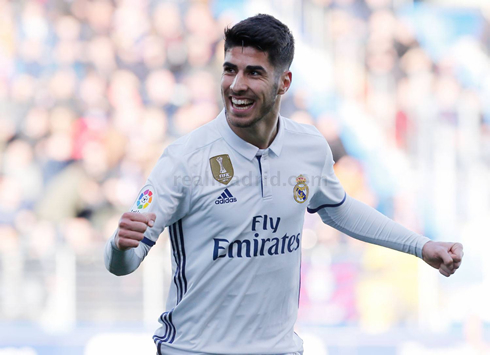 Attackers: Marco Asensio, Lucas Vázquez, Benzema. Cristiano Ronaldo next game is a Champions League fixture, on March 7 of 2017 against Napoli. You can watch Juventus live stream, Napoli vs Real Madrid, Barça vs Celta de Vigo, Sunderland vs Manchester City, Tottenham vs Everton, and Hamburg vs Hertha Berlin, all matches provided from our live football game pages.